I stumbled across this picture today and got stunned how beautiful were the cars back in 1984 compared to that of today both in design and in livery. On the picture are Nigel Mansell (Lotus) and late Michelle Alboreto (Ferrari). What a gorgeous shot. Really shows how advanced Gerard Ducarouge was with rear packaging on that Lotus. Those Ferrari sidepods have to he the sexiest of all time too. Breathtaking photo. My new desktop wallpaper! What this shows to me, more than anything, is the quality that was possible from a 35mm SLR with a bit of good weather and some decent glass back in the 1980s. it's so good, it looks like it must have been from an historic race last week. Truly stunning image! Good to have Prost's side published. I'd not put money on Fangio, Ascari, Moss, Clark or Schumacher to beat Prost in same-cars! The number of wins he racked up against Senna in 88-89 was amazing. To me Prost and Stewart seem to be most similar as drivers, smooth and thinking. I had stopped, of course, and seeing Didier was awful, really awful, I went straight to the Renault motorhome. There was only myself and team boss Gerard Larrousse. He said I should try to get back in the car as soon as possible. I said: "I'm going to go in the car but I'm telling you, from today, I'm going to do what I want to do when it's wet. I want to be the only judge of the best thing to do." People said I couldn't drive in the wet. But I was really good – OK, that's my opinion – when it was wet or slippery. No problem. I like it very much when it's like that. But when it was wet and you had the combination of aquaplaning and poor visibility, I never wanted to take the risk. I was always thinking of Didier. But how do you say that to the press? Prost was amazing. You only have to look at how many times he was so close in the championship to realise that if things had gone his way (or a Turbo hadn't failed) he would be up there with Schumacher in terms of championships, and this is arguably against way better opposition. I think Senna's charisma and charm have pushed Prost's talent as an F1 driver to the side, especially with incredibly biased documentaries being released today. Having said that, seeing Senna in way inferior machinery compete with the big boys when he just entered F1 is an amazing sight. Prost and Senna - I wonder if we'll ever get a rivalry like that again in F1. Prost is my personal greatest of all time. He defeated two all time greats in Lauda and Senna (they did beat him too, mind), won four world championships, and could easily have had at least 7, like you say. And unlike Schumacher, when he had a truly dominant car he was up against people like Senna, instead of a #2. What is incredible to think is the possibility of Prost staying for two more years, and Senna also carrying on to at least '95, the three way battles that could have happened between Schumacher, Senna and Prost. Yeah I've been going through the F1 season reviews and I can't believe how close he was to winning so early on. I've always liked Prost, but I have a lot more respect for him and I must agree that he is the greatest of all time, with Schumacher just behind (it was previously the other way around). And also seeing Senna just burst onto the scene with impressive drives would just capture everyones attention. The 80's were an amazing decade for F1. Will the 2014 end like this, like these two gentleman ended 1984? 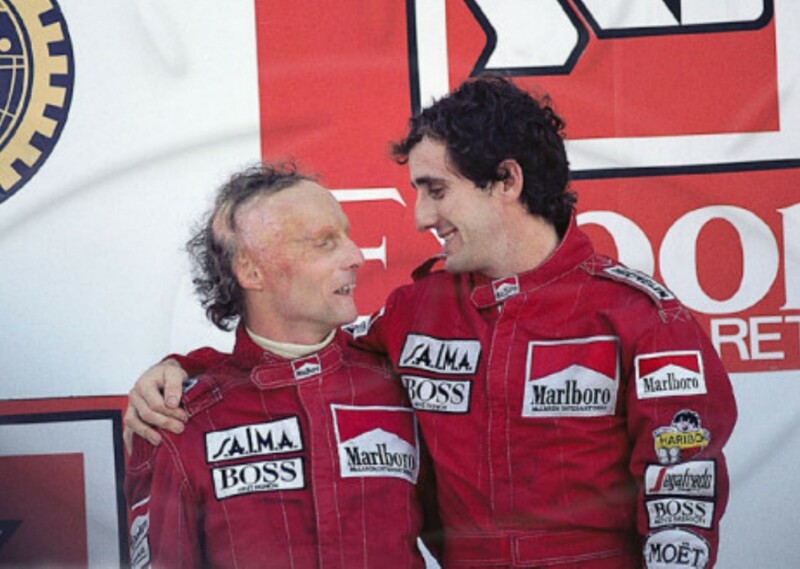 Prost shows no remorse or bitterness for loosing the WDC by 0,5 points from Lauda. Prost could afford to be magnanimous he only had himself to blame, pushing for the 84 Monaco GP to be stopped due to bad weather. Having started from pole he was being hounded by Senna in the inferior Toleman Hart which started 13th, the race was stopped on lap 32 with Senna in the lead but results declared on the lap prior when Prost was leading and half points awarded. As conditions appeared to be improving maybe he could of gone on to finish first or second on full points which would have given him the championship. Another point there were 27 entries for that GP. What can we expect for 2015 ... 18 max? According to Todt that's enough, might be enough for him but I know what I would prefer. I haven't been here for a few years..just wanted to say hi! Hi Captain, salute from Lieutenant! Deceased generation. All of them are gone. 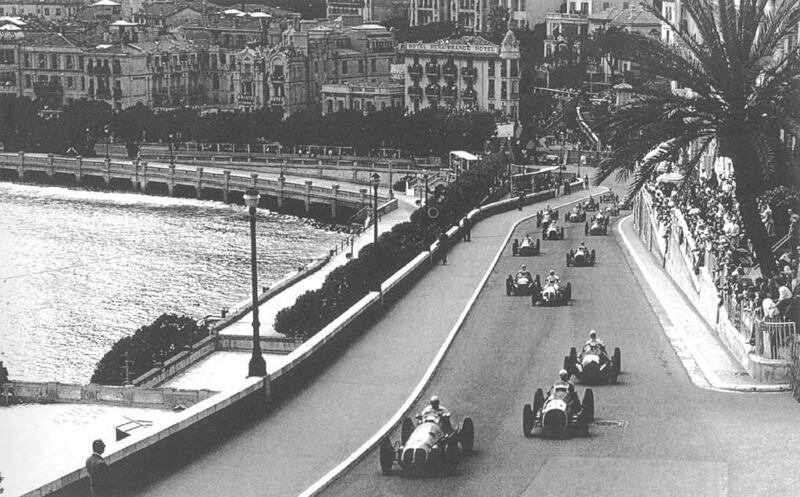 Monaco F1 1950, first lap, right after St. Devote. Can you imagine this happening today, a freak wave from the harbour washing over the track & causing the the majority of the field to pile up. There is the famous story told by JMF. He was approaching the site of the accident & noticed the crowd were not looking towards him but away from. This caused him to slow so he avoided the mess & he went on to win the race. This is him sliding past the pile up in his Alfa. It's not generally known that this was the first F1 race in which a rear engined car started. Prost could afford to be magnanimous he only had himself to blame, pushing for the 84 Monaco GP to be stopped due to bad weather. When a champion like Lauda spins in the wet at Monaco, it is a clear sign it could happen to anybody. And if a Regenmeister like Ickx agrees with Prost that the conditions are too dangerous to continue, it means they are. While I like the picture that was posted, what warmed my heart more was that Prost had tears in his eyes on the Estoril podium, and that both Lauda and Mrs Lauda consoled him. Those were the days! 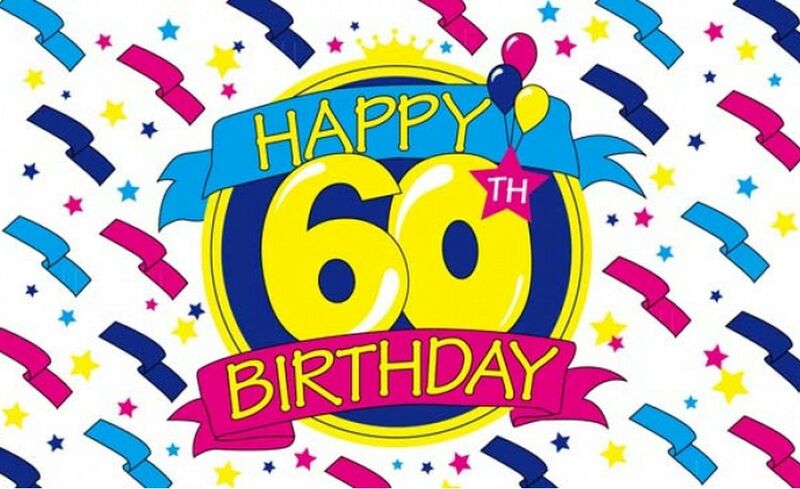 Happy Birthday to the Professor! Alain Prost is 60 today. Happy 60th birthday to legendary Professor Alain Prost! Anybody know the significance of this driver, car & race but most especially the car. The car as it is now. The presence of the Ecurie Belge and Johnny Claes signs plus the number six on the nose of his yellow Talbot-Lago nail the picture as the 1950 Monaco Grand Prix. It follows that the car is Harry Schell's Cooper-JAP fitted with the 1100cc version of the JAP engine. This being the second ever race run to the CSI World Championship rules, I imagine the significance you're seeking is that Schell's car was the first 'traction derrière' entry in that championship. although not the first so configured under the Formula One (then often known as “International Formula A”) regulations. Poor Harry became embroiled in the melee at le Tabac on lap two and so didn't finish. I believe Harry's car was only lightly damaged and considering that he was trailing the field by a goodly margin on the run down from the chicane I don't know whether the fact that he made contact at all is evidence of the Cooper's poor brakes or Harry's poor reflexes. Either way, I believe the sea water that brought Farina undone was not on the track surface upstream of the corner. Excellent, I really didn't think any one would answer that. Harry's Cooper was of course the first rear engined car to start an F1 championship race even though it didn't qualify. There is some conjecture whether it deserves that accolade or not having not qualified or finished. The fist rear engined car to qualify, start & finish a race was the Heck BMW built & driven by Ernst Klodwig. I t was you posting the pic earlier in the page of the crash caused by the wave that prompted me to pose this puzzler. Ernst Klodwig in his Heck BMW. Sorry to burst your bubble but I think this image is Photoshopped to have the two cars together. The sharpness around the right rear of the Ferrari is inconsistent with the rest of the image, particularly on the same focal plane with the Renault. But more so the road in front of the Ferrari's front wing has blurry patches consistent with cloning along with the magenta colour fringing around the rear wing and front right tyre. Now it "could" be a defect when scanning the image but I doubt it. Well-spotted - looking at the front left tire, it looks like someone used the lasso tool, so I think you're right. The edges around the car don't look consistent. You know what idea I think should make a comeback? In recent years, Rainer appointed Getty Images to market the photographs in his extensive archive. If you follow one of the above links and then search 'Schlegelmilch' inside the Getty Images site, you will get close to 18,000 hits. Many will be aware that Rainer is one of the most accomplished motor racing photographers in the world, having been operating at a high level since the early 1960s. Yes, thank you for that. But Schlegelmilch is wrong with the date of picture. It's written 3rd June, which is Sunday, but on Sunday there was a rain. it could be either the day before, or on Thursday. Pleased to see this great post continues, and with such interesting info and pics. I agree with posters (and Prost) who think Alain was naturally really good in the wet, until he was involved in Pironi's crash. 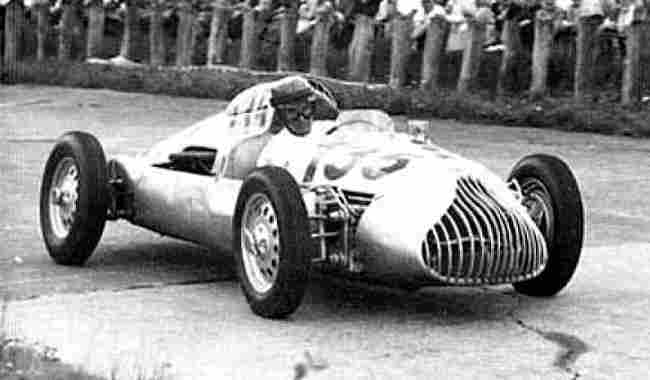 Similarly Fangio was considered slower in non-single-seater cars; he was not, until his co-driver was killed when their Chev Coupe rolled in Argentina. Ever since Fangio vowed, like Prost, not to endanger another person, which is why he drove the Mille Miglias solo; Ascari did the same for the same reason, having witnessed deaths. neither of these two older drivers went flat-out in the MM consequently. Such an interesting pic of Klodwig's rear-engined Heck-BMW from Obie, and such knowledge from Quere! Something not quite right here, but can't quite put my finger on it! 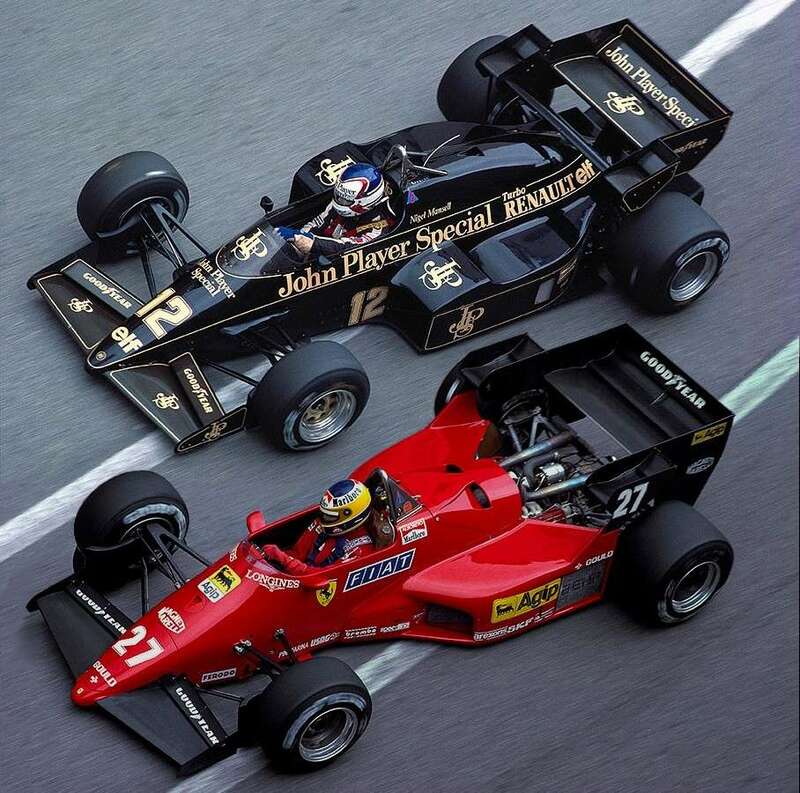 Love the photos of the Lotus, Ferrari (even though they are photoshopped) and the Tyrrell is how different they are. Going back a bit before F1 times, and even before my time: I was always amused to read that 'Moss was the first really professional driver' (ie making money ) back in the fifties. Nuvolari started his GP career in 1928 at age 36, with his own team of private Bugattis at Tripoli. 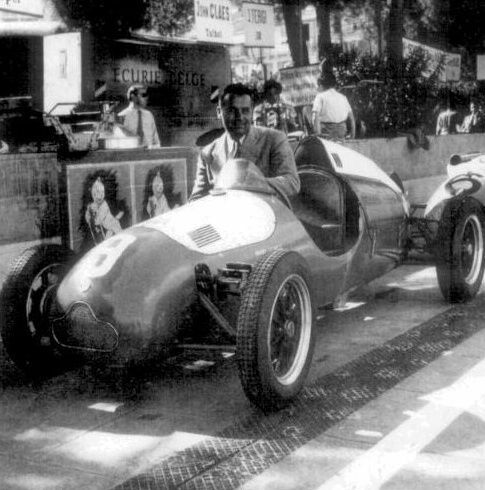 Before the race started, he protested the two Talbots on the grounds that they had no passenger seat, the space being occupied by an extra fuel tank. Although riding mechanics had not been necesasary since 1924, the officials checked the regs and Nuvolari was technically correct. They pleaded with him not to reduce the already thin field, but he refused to budge. The two Talbots were not allowed to start. They proved faster than Nuvo and his Bugatti in Tripoli practice and later that year. The Talbot team really went after Nuvolari, drivers Materassi and Arcangeli beating him in two close and fiercely fought 1928 races, with great satisfaction. Nuvolari's 'professionalism ' (ie going for the money) showed hilariously on lap charts for races in which cash prizes were awarded every few laps or so. In the early thirties at Miramas near Marseilles and at Monza, the leader every five laps happened to be Nuvolari, after which he dropped back to save his car for the next charge. Howdy, POBRatings, not for the first time I have learnt greatly from your post and I really appreciate your insights into Nuvolari. We all recall Tazio's famous stealthy chasing down of Varzi with his lights off in the 1930 Mille Miglia. So it is with deep respect and a nice dollop of trepidation that I take a little bit of issue with your "Moss was the first really professional driver' (ie making money)". Specifically, the 'ie making money' bit. Of course, Sir Stirling to this day is on the lookout for a payday. As he's happy to tell anyone, his most lucrative year as a full-time driver earned him the modest sum of £31,000. Even adjusted for inflation, it's no more than beer money compared to Lewis's $100 million contract. So I'm only taking issue with your implication that Moss being 'professional' was just about the dosh. I'm way too young to recall this directly but I've read a bit - - and it appears that Moss frequently had the mickey extracted by his peers and the British press (they hadn't invented the word 'media' back then) for the way he went about racing. Important to recall that in the early 50's, the old "Gentleman vs Players" attitude was still strong. The British racing scene was largely dominated by the Brooklands crowd with their shooting sticks and leather patches on their Burbery tweed jacket. So this young upstart Moss doing things like turning up in a starched white overalls with body belt and BRDC patch on his chest when his rivals were wearing civvies with their trousers tucked into their socks, his appointing of the first ever full time manager in motor racing in 1952 (Ken Gregory), his seeking endorsement contracts... all these things were seen as some combination of vulgar and counter to the spirit of 'The right crowd and no crowding' philosophy. His perceived craven professionalism - the word was not a compliment back then - was perhaps best illustrated with Mike Hawthorn's deliberate and over the top 'jumping the start' in the Le Mans style start in the Goodwood TT one year. Moss yelled out 'You lovely individual Hawthorn' as the starter's gun fired and Mike Hawthorn, bow tie and all, got away last after helplessly rolling around beside his car clutching his sides laughing. The British press got a lot out of that example of a gentleman unsettling a player. But there is a certain incongruity in this. Moss was all professionalism but after his Vanwall period when he lost the WDC he little by little changed to the point where it was all about winning - but just as the underdog. So... Nuvolari was serious about winning but Moss was, I believe, to surround himself with all the accoutrements of 'professionalism'. The first of a line that later included the likes of Stewart, Lauda, Senna and Schumacher. Hi there Quere, and thanks for the compliment. I agree with everything you say about Moss and his professionalism. My snipe was at the media then (when I started following) who seemed to think that GP racing started in the mid-Fifties, as did getting paid or making money to drive. They were probably schooled by the Brooklands set you mention. Moss was indeed so much more professional in his whole approach than Hawthorn. This showed in their relative speeds, imo the closest to Moss that Hawthorn ever came was 0.4% by my System's driver-ratings, which was in Hawthorn's best season, 1958. Assuming same-cars, that would be 0.4 secs slower per quali lap and over 20- secs behind in a modern race at Abu Dhabi. This is about where Graham Hill finished behind Clark in the SA GP of 1968. Imo Moss could have won 4 or 5 WDCs from 1956-1961 if he'd had the fastest cars, and not suffered the ridiculous 1958 points system and his own good sportsmanship. Interestingly the SA GP organisers in 1936 tried to get Nuvolari to race at East London, but Nuvo wanted too much money for their budget; calculating for inflation, the sum Nuvo wanted was about the same as each of Scheckter and Peterson were paid to race a BMW CSL in the 1978 (? ) Kyalami Nine Hour Race. Nuvolari made good money in GP racing, but not nearly as much as Ralph de Palma, the ultimate chequebook pro. I'm currently reading Donaldson's book on Fangio and so far it is excellent. I would recommend it to anybody. I have thoroughly enjoyed the accounts of the South American long distance races that make Le Mans, even in the Forties and Fifties, look like a sprint race. Ha, that's great! I also collect records, I highly doubt that LP got a Canadian release, though. I still need to watch the film Grand Prix. 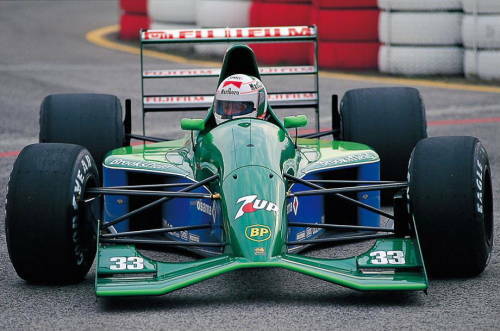 Anyone else recall seeing this Eifelland March driven by Rolf Stommelen? I saw it at Brands Hatch where it caused some amusement by being several seconds slower after all the go faster modifications. I think it explains both its weirdness and is uselessness rather well! As for Luigi Colani, read his comments at the beginning of the second half of the article. Whatever Luigi's on, I want some of it.